Long products producer Commercial Metals (CMC) expects demand in the US and Poland to remain strong after boosting its steel and scrap shipments in the US in the third quarter. The Irving, Texas-based company shipped 811 000 st of steel from its US mills in its third quarter ended 31 May, up from 722 000 st in the same quarter a year earlier. Rebar shipments rose by 13% to 503 000 st, while shipments of merchant bar and other products rose by 11% to 308 000 st.
Fourth quarter volumes are expected to be in line with the third quarter. 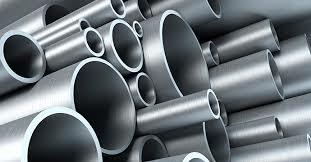 The average selling price across all of its Americas steel products rose by US$92/st to US$632/st on the quarter. The scrap-based producer’s average ferrous scrap input cost rose by US$63/st by comparison, pushing metal margin up by US$29/st from the prior year to US$303/st. Increased output from the company’s new Durant, Oklahoma, rebar micro-mill contributed to rebar volume growth on the quarter, shipping just shy of 30 000 st. Smith expects the mill to be ramped up to its full capacity of 350 000 st/yr in the second half of the 2019 fiscal year. CMC is also preparing to close on the acquisition of four long products mills from Gerdau. Smith anticipates that the deal will receive regulatory approval by the end of 2018. Strong finished steel demand also boosted volume and prices in CMC’s US recycling segment. Shipments of ferrous scrap rose to 642 000 st at US$314/st from 590 000 st at US$264/st, while non-ferrous shipments rose to 65,000st at US$2252/st from 61,000st at US$2017/st. Smith did not offer any specific outlook on scrap prices, but suggested that higher rebar prices in July may boost metal margins “assuming that scrap prices stabilise” as they did in June. The company’s international mills segment in Poland shipped less steel even as prices rose from the prior year. Rebar shipments fell to 79 000 st from 107 000 st, while shipments of merchant bar and other products ticked down to 241 000 st from 247 000 st. The average selling price across steel products rose by US$156/st to US$599/st, while ferrous scrap input costs rose by US$76/st to US$329/st. This pushed metal margin up by US$80/st to US$270/st. Fabrication segment volume also fell as prices rose, shipping 302 000 st at US$777/st, down from 310 000 st at US$775/st. CMC earned a profit of US$40 million on sales of US$1.2 billion in the quarter, up from profit of US$39.3 million on sales of US$1 billion in the same period a year earlier. The company recorded a profit of US$86.9 million on sales of US$3.3 billion through the first nine months of its fiscal year, up from profit of US$75.9 million on sales of US$2.8 billion in the same prior-year period. Year-to-date steel shipments in the US rose by 8% to 2.2 million, with ferrous scrap shipments in the US up by 26% at 1.8 million and non-ferrous scrap shipments up by 19% at 194 000 st.